He was born in the small Ukrainian town Lebenin. At an early age Boris performed a lot of Ukrainian folk songs. At the age of 11 he started to work as an office boy, at 16 he worked as a stevedore, stoker and sailor. In 1927, after a course at a worker’s faculty, he entered the Kharkov Construction Institute. An active participant in local theatres, Gmyrya soon began to be known for his remarkable voice. He studied in the class of Prof. Pavel Golubev at the Construction Institute. 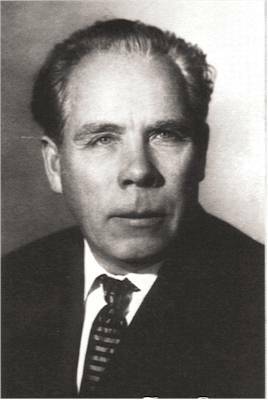 In 1936, while still at the conservatory, he joined the Kharkov Opera Theatre. He made his debut as Sultan in Gulak-Artemovsky’s Ukrainian opera Zaporozhye Cossack Beyond the Danube. He first gained recognition in 1939 winning a first prize at a nation-wide vocalist’s competition, which was followed by his first tour through the country. 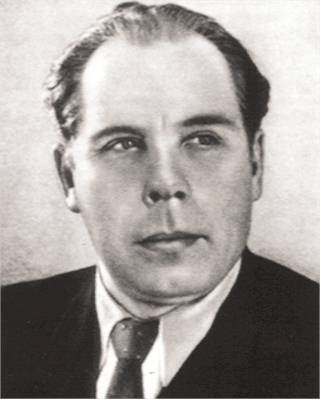 His repertory of 36 roles included Gremin, Boris, Sobakin in Rimsky-Kosakov’s The Tsar’s Bride, Miller in Dargomyzhsky’s The Mermaid and a number of character roles. He was an excellent Salieri in Rimsky-Korsakov’s opera Mozart and Salieri. As a recitalist on the concert platform as well as in radio broadcasts, he gained even more attention in songs by his favorite composers Mussorgsky, Borodin, Rachmaninov, Brahms, Schumann, Grieg, Dvorak as well as in Ukrainian folk songs. Mussorgsky’s Songs and Dances of Death, Schubert’s Winterreise (! ), Rubinstein’s Persian Songs and the Shostakovich songs were performed as complex musical dramas. Extremely popular in his country, he was given the title of “Honoured Artist of the Ukrainian Republic” in 1941 and “The People’s Artist of the USSR” in 1952. The same year he was awarded a State Prize, and in 1966 he received an Order of Lenin. Boris Gmyrya was one of Russia’s popular singers. In the West he is not as well-known as he deserved to be. His repertoire included bass as well as baritone roles. To me, the color of his voice and its tessitura is that of a bass-baritone. His is a beautifully round and sonorous voice, produced in the “bel canto manner” of the great Mark Reizen. I particularly like Gmyrya in Boris’ Death Scene. You will not find here the outbirsting expression of Feodor Chaliapin or Maxim Pirogov, but I think his is a very fine and psychological portrait of the desperate Tsar. In Nikalantha’s “Stances” we can admire his remarkable mezza voce.